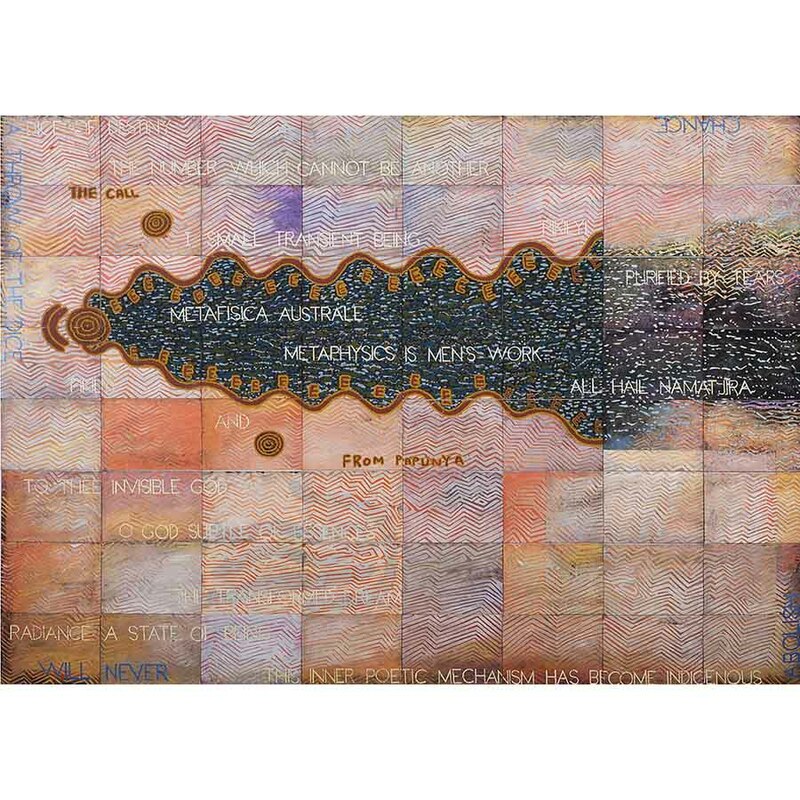 Two major artists, Michael Nelson Jagamara and Imants Tillers, were ‘re-united’ in 2001 at the Winn Street Studios in Fortitude Valley; in the month of July they completed their first collaborative work Nature Speaks Y / Confused Possum. Since then an additional twenty paintings have been completed, of which five will form the centrepiece of the FireWorks Gallery 2018 exhibition The Call from Papunya. Originally, seven collaborative works were planned. Chapter One culminated in the momentous 2008 Fatherland. 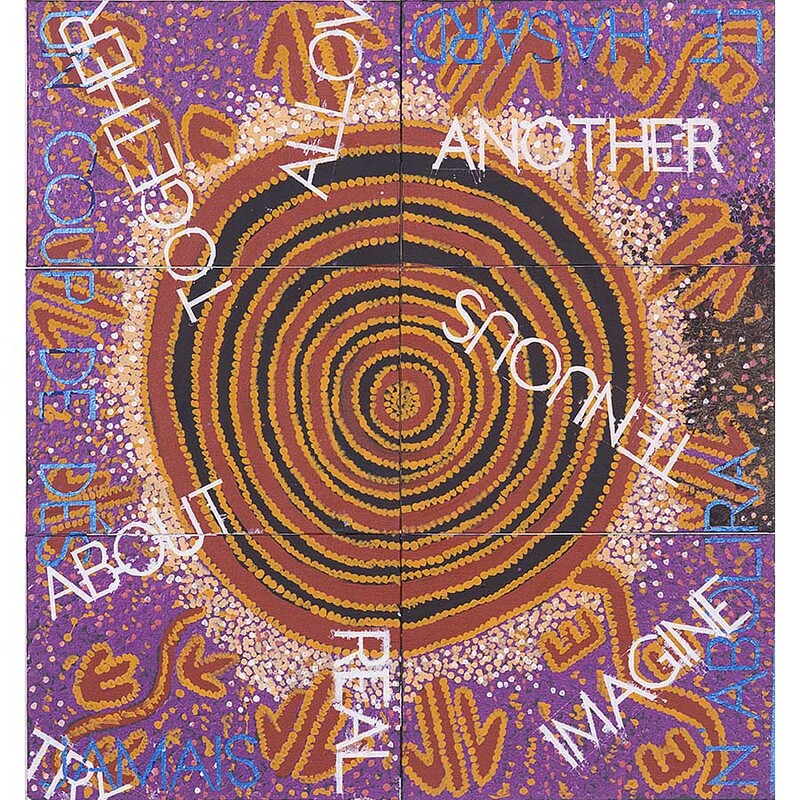 This was soon followed by Chapter Two, with an additional six works, closing in 2012 with The Loaded Ground (Drill Hall ANU Canberra exhibition and associated publication) featuring the momentous 165 canvasboard work Hymn to the Night. 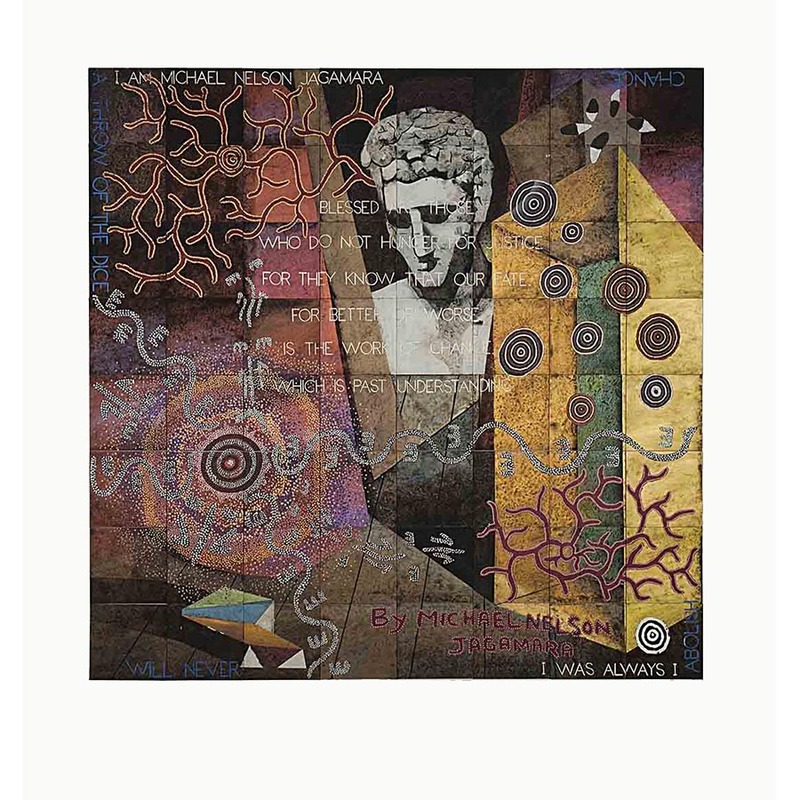 The latest chapter includes The Messenger, a 64-panel square format work, which featured in the exhibition Meeting Place at Parliament House Gallery, August-November 2017 (this work being subsequently acquired by APH Art Collection). 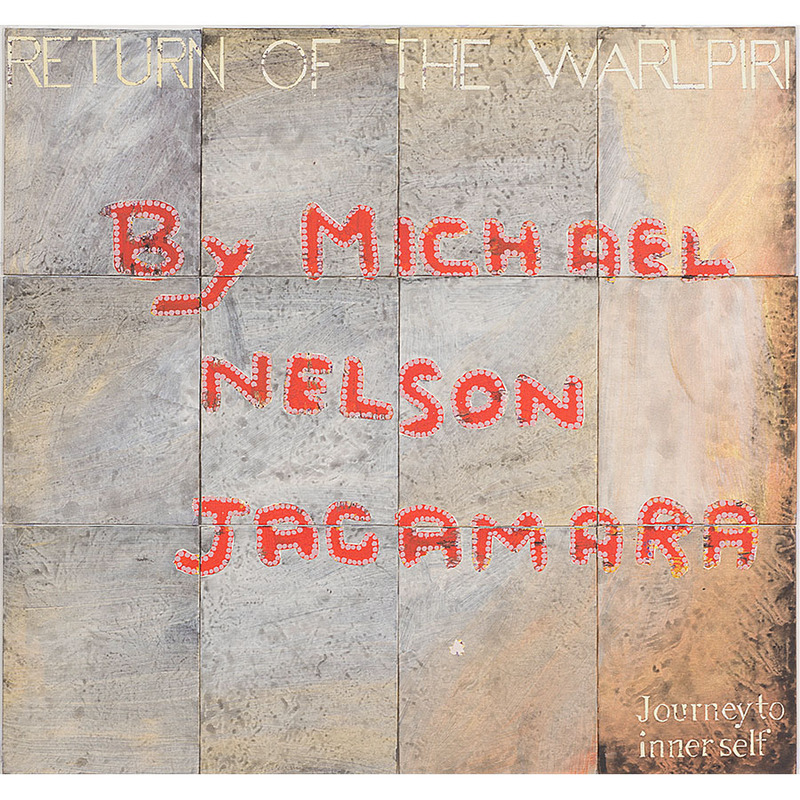 Also, recently completed (and the focus of the 2018 QAGOMA Foundation Appeal) was Metafisica Australe, 72 canvasboards, which showcases Michael Nelson’s seminal 1984 work, Five Stories, repainted and reimagined in a collaborative format. 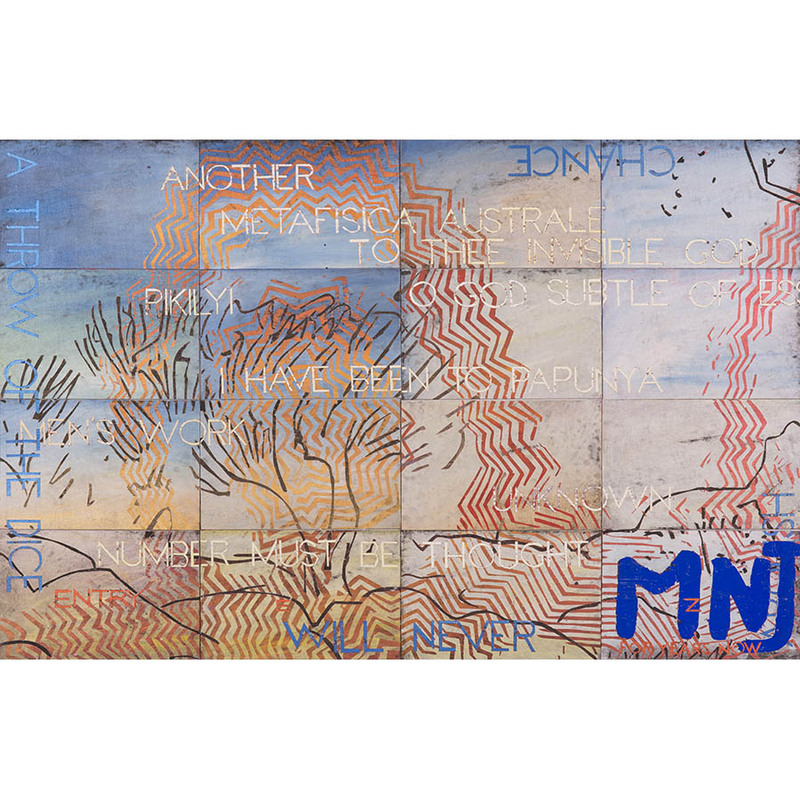 Tillers’ multiple canvasboard panels which fit together to form large, gridded works is also utilised for his collaborations with Jagamara with canvasboards moving backwards and forwards between the artists’ studios in Papunya, Brisbane and Cooma. Opportunities for ongoing dialogue are expressed visually through private vernaculars of colour, shape, text and composition. (See below for collaboration exhibition history).